Walk around in this wonderful city and learn about the Guatemalan history during colonial times. Walk around in this wonderful city and learn about the Guatemalan history during colonial times. We start the tour with the Cathedral that was built in 1680 and with the fountain on the main square, where we explain the history of the city by means of surrounding examples of colonial architecture. Next we visit the San Francisco el Grande Church which was built in 1702. It is one of the best-preserved churches in Antigua and the resting place of the first saint in Central-America, Hermano Pedro. We then walk to the beautiful baroque church of Nuestra Señora de la Merced, one of Antigua’s most beautiful colonial style churches. This building was finished in 1767. On the left side of the church, there is a convent which is open to the public for a small fee. The tour ends in a jade factory, where you can learn about the different types of jade, the history of jade in Guatemala and understand how long it takes to make just one piece. To the ancient Maya, jade represented things like maize (corn), the wind, breath and the soul. They made jade into belts, nose decorations, mosaic masks, tooth inserts, beads and ear spools (a kind of earring that looks like a spool). They also worked jade into “celts” – a kind of axe-head. As for decoration, designs representing flowers were popular for jade jewelry. The jade is cut and polished in the factory by local Guatemalan workers who follow the carving traditions of their ancestors. We will pay a visit to three interesting villages (pueblos) around Antigua. Our first stop will be San Juan del Obispo, on the slopes of Volcano Agua. Here we will visit the temple, monastery and square of the first bishop of Guatemala, Francisco Marroquin. The village is famous for holding one of the first Catholic churches in Guatemala. Francisco Marroquin resided in San Juan del Obispo and still appears on our Q100 bill. 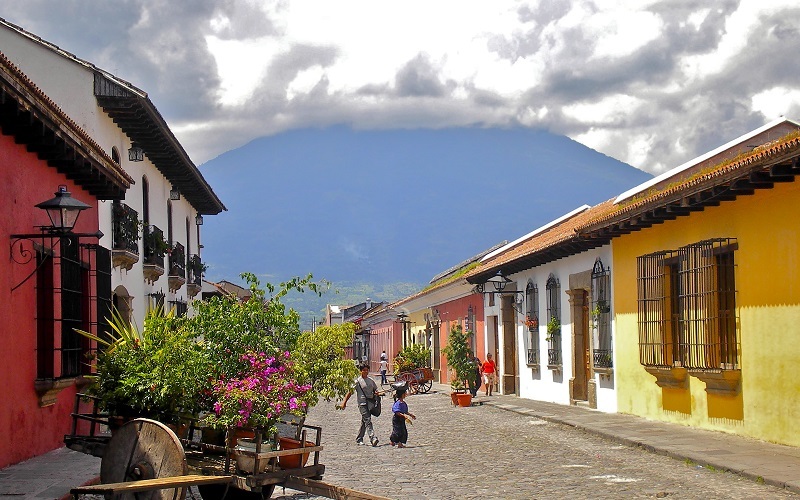 San Juan del Obispo is a haven for artisans and is home to Guatemala’s best chocolatiers. For this reason, around Antigua, you will often see chocolate sold from San Juan del Obispo. We recommend supporting the local community during your visit to San Juan by purchasing the chocolate whilst there, which can also be considerably cheaper. Also, San Juan is known for a fruit called “nispero”, which comes in season in late October and November. In November an annual Festival del Nispero is held at the town’s main plaza to celebrate the start of the season. The festival lasts 2 days and is well worth a visit. Expect to see lively music, craftsman selling their wares from metals and woods, chocolates and Nispero wine. Seven kilometers southwest of Antigua along the Escuintla road is Ciudad Vieja (Old City), near the site of the first capital of the Captaincy General of Guatemala. Founded in 1527, it met its demise 14 years later when Volcano Agua let loose a flood of water that had been penned up in its crater. The water deluged the town with tons of rock and mud, leaving only the ruins of La Concepción church. We will unfold to you the history of this town, which was the second city founded by Spanish in Guatemala. We will also visit the organic macadamia farm where you will learn about the many medical functions of the macadamia nut. Last but not least, we visit the small picturesque town of San Antonio Aguas Calientes. This city was founded in 1528 and the majority of the population is Kaqchikel. One of Guatemala’s most well-known exports is traditional textiles, woven by Maya women, many who learn the craft from a very young age. As far as textiles go, the town of San Antonio Aguas Calientes (translated as San Antonio Hot Springs) has the best reputation for quality textiles. We will visit the textile co-operative market here where you will be able to view the Mayan women using a back strap loom to weave traditional patterns. You will also have the opportunity to shop and buy any gifts from this market that you would like, which additionally supports the local Mayan women’s Co-Operative. The handicrafts market also has a small museum that has traditional dresses on display of most major regions in Guatemala, and is very much worth a visit. The tour ends in the jade factory, where you can learn about the different types of jade and the history of jade in Guatemala and understand how long it takes to make just one piece. To the ancient Maya, jade represented things like maize (corn), the wind, breath and the soul. They made jade into belts, nose decorations, mosaic masks, tooth inserts, beads and ear spools (a kind of earring that looks like a spool). They also worked jade into “celts” – a kind of axe-head. As for decoration, designs representing flowers were popular for jade jewelry. The jade is cut and polished in the factory by local Guatemalan workers who follow the carving traditions of their ancestors. 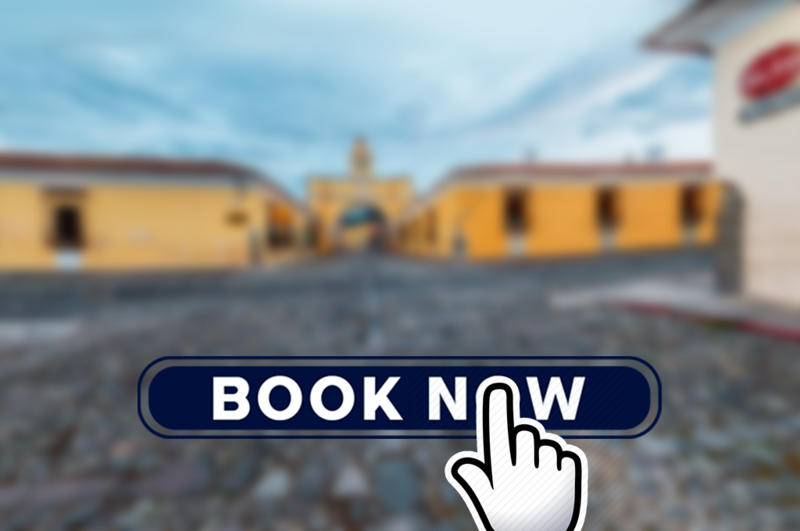 Included: Spanish-speaking guide, return transport from Antigua, entrance fees. Saints and facades of Antigua is a guided tour exploring the life of saints, symbols and imagery through visiting and investigating different church fronts. Some of the saints portrayed in the facades originate in the bible, others come from church history. Whoever it was, images were always placed on the facades with a lot of thought and to tell a story to the beholder. Do you want to know these stories? Why is Pedro Nolasco standing high in the façade of the La Merced church? Why is the Virgin Mary often very visible and centrally located in the front of the section of the old cathedral? Do you know who Nonnatus is? In this tour we will explore questions like these and many other interesting observations. Observations such as that St. Peter and St. Paul are nearly always companions next to the main entrance of any church. The same can be said of St. Domingo and St. Francisco. Also, somewhere we will be able to find the beloved Pedro Betancourt, now a Saint. Do you want to know where? It is not too difficult to know if you remember to which order he belongs. And do you want to see a real angel? Get yourself to Santa Clara church and Convent! From archangels to apostles, from founders of religious orders to martyrs and preachers; you will get to know Antigua in a very different way! And although this tour gives you an amazing inside into the life of many saints, the tour is not limited to them. You will also walk through ruins and learn more about colonial architecture. In other words, a real cultural experience.